The Dodge Charger is the car that helps you take command of the road in Jacksonville, TX. Get started when you come down to Palestine Chrysler Dodge Jeep Ram FIAT today. If you live for the roar of an engine and love the throaty rumble of the throttle then you need a car that accommodates your love. The Dodge Charger is the muscle car that gives you the power you want and the nostalgia of your youth too. Want to test drive this beast of a car? 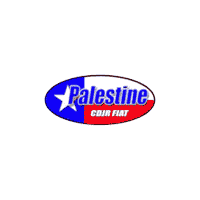 Come down to Palestine Chrysler Dodge Jeep Ram FIAT and take a spin. If the thought of power thrills and excites you and pinning the pedal to the medal makes you giggle a bit as you feel the power of the engine under the hood and the rumble under your seat then the Dodge Charger will elate you. This powerful performance machine makes you feel like a kid again while bringing back the excitement that driving used to bring you. With four engine options to choose from, there is a power level that is right for everyone, however, we recommend the Super-charged 6.2-liter HEMI V8 SRT Hellcat will shake, rattle, and roll under the hood. It delivers a powerful 707 horsepower and 650lb-ft of torque so you can pin the throttle on every straight stretch and corner like a professional. You can choose from the 8-speed electronic shifter or paddle shifters to customize your driving style. If your engines are revved and you are ready to go, stop by Palestine Chrysler Dodge Jeep Ram FIAT to see the Charger in person. Power is important when it comes to muscle cars and of course, you want it to perform, but styling and comfort should be considered too because let’s face it, you will be committing to your car and spending a great deal of time in it too. The Dodge Charger offers the interior styling and comfort you want and the convenience you need. Plush leather seats that give you comfort and support surrounds you like a pillow for the ultimate drive. Do you hate being too hot or too cold? That’s not an issue inside the new Dodge Charger. That’s because it offers heated and ventilated front seats that allow you to control the temperature inside no matter what the weather may be doing outside for the perfect comfort every time. There is even a heated leather steering wheel to warm your hands when you want to. Did you know that you can choose your driving mode too? That’s right, you can choose from Normal, Sport, or Comfort depending on your mood. Let us show you these features and more at Palestine Chrysler Dodge Jeep Ram FIAT today. We are used to a little bit of technology in our vehicles but the Dodge Charger offers you more. It features smart technology that connects you and entertains you so there will never be a dull moment on the road. The Adaptive Cruise Control with stop helps you maintain your distance on the road so you don’t have to keep messing with the controls. Rain-Sensing Wipers pick the speed for you so you won’t have to adjust the speed, which helps you to keep your focus on the road. The Uconnect System allows you to make hands-free phone calls and pick your favorite music with just the sound of your voice. SiriusXM Satellite Radio gives you over 150 channels to listen to so you won’t have to listen to radio silence on the go. Dual charging ports and a media hub helps you keep your smart devices powered up and ready to go when you arrive at your destination. For a demo, come see us at Palestine Chrysler Dodge Jeep Ram FIAT. Palestine Chrysler Dodge Jeep Ram FIAT is your destination for all things Dodge including the Dodge Charger. We offer a great selection for you to choose from in one convenient location so you won’t have to go anywhere else to find the one you want. We have over a dozen on our lot right now in various colors, models, and with different features, so you will find your match made in heaven. We even list all available inventory on our website so you can search from the comfort and convenience of your home if you aren’t ready to commit to your new car just quite yet. We can’t wait to help you find the Charger of your dreams and watch you drive off in it today.